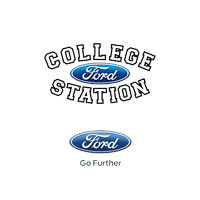 You’ve arrived at the College Station Ford Parts and Accessory Center. Here we’ll supply you with new components to make your vehicle run like the day you drove it off the dealer lot. We’ll also equip your prized possession with new accessories to add a little flare to its appearance or operation. The College Station Ford Parts Department maintains a well stocked inventory of OEM Ford auto parts and accessories, ready to be installed onto your vehicle. Visit us now or fill out the online order form if you already know what you want. Our knowledgeable staff will check if we have the part and contact you with pricing and confirm your request. We can order the part if it’s not already in stock and have it at our College Station, TX dealership quickly! We have the answers to our automotive questions! We proudly serve the greater Bryan, Navasota, Hearne, Huntsville, Caldwell, Texas areas.